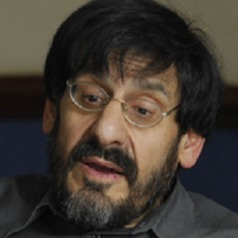 Steven Friedman is Director of the Centre for the Study of Democracy at Rhodes University and the University of Johannesburg. He is a political scientist who has specialized in the study of democracy. He researched and wrote widely on the South African transition to democracy both before and after the elections of 1994 and has, over the past decade, largely written on the relationship between democracy on the one hand, social inequality and economic growth on the other. In particular, he has stressed the role of citizen voice in strengthening democracy and promoting equality. He is the author of Building Tomorrow Today, a study of the South African trade union movement and the implications of its growth for democracy, and the editor of The Long Journey and The Small Miracle (with Doreen Atkinson), which presented the outcome of two research projects on the South African transition. He is currently studying the role of citizen action in strengthening and sustaining democracy.